Located at the southern tip of the Intra-Carpathian Volcanic Range in Romania, and composed of a dozen dacitic lava domes, the Ciomadul (Csomád) volcanic complex is the youngest eruptive centre of the Carpatho-Pannonian Region. Whereas, in the last decade, the explosive history of Ciomadul since 50 ka has been well constrained by numerous studies, the chronology of the dome sequence still lacks robust chronological constraints and an extended analysis of all available data. Here, we apply a detailed K-Ar dating approach to refine the chronology of the lava dome eruptions, using the unspiked K-Ar Cassignol-Gillot technique. Our dating focused on the most voluminous central part of the lava dome complex. 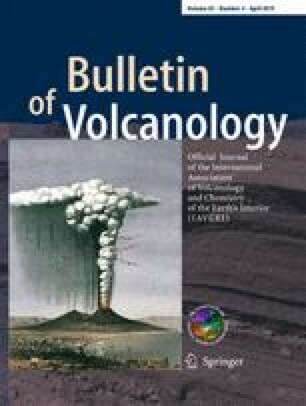 New eruption ages were determined following a strict separation (of 10 g) of groundmass from about 3 kg of unaltered sample rocks, thereby isolating material whose cooling was contemporaneous with the eruption. The newly applied methodology, mainly consisting of a double full preparation, first at larger grain size (~ 0.4 mm) and then at < 100 μm, provides an appropriate procedure to separate suitable material to obtain the K-Ar age of the eruption, i.e. the sample’s groundmass, in which there is no risk of the presence of older, inherited crystals. Our new geochronological data set gives an improved insight into the temporal construction of the Ciomadul volcanic complex, where (due to the method applied here) all ages are younger than those from previous studies that used whole-rock K-Ar ages. Our new results show that Ciomadul’s volcanic activity began with the construction of the south-eastern, peripheral domes from ca. 850 ka to 440 ka. After a ca. 250-ky-long repose period, the activity resumed in the northern part at around 200 ka, with subsequent domes emplaced between 200 and 130 ka, aligned roughly north-south in the western-central part of the complex. Following a 30-ky-long quiescence period, the eastern-central domes formed between 100 and 60 ka. In addition to the chronological history of lava dome volcanism, we also investigated the sequence of crystallization of mineral phases present in the lavas with respect to the modification of eruption ages. Ages obtained on pure minerals (plagioclase, amphibole, and biotite) are systematically older than those obtained on groundmass, showing that most of them formed up to 1.85 Myr before eruption in a long-lived, pre-Ciomadul magmatic system. Crystal size distribution (CSD) data support the age contrasts between juvenile groundmass and older inherited minerals. After injection of new magma and convective mixing with crystal clots, ascent of the resulting mixture led to eruptions of material representing contrasting ages. The online version of this article ( https://doi.org/10.1007/s00445-019-1286-9) contains supplementary material, which is available to authorized users. We wish to thank Karoly Nemeth and an anonymous reviewer as well as Editors Stephen Self and Andrew Harris for their comments and suggestions, which greatly helped us to improve the clarity of the manuscript. Fruitful discussions with Carlos Palares and Xavier Quidelleur at different stages of this study have helped to clarify the ideas presented in this paper. This is Laboratoire de Géochronologie Multi-Techniques (LGMT) contribution number 146. This research was supported by the Hungarian Scientific Research Fund NKFIH - OTKA No. K 115472 to DK.